WARNING! In this article I will give you a glimpse of Hell! The intention with this article is to show one of the most extreme examples of what I have called The 666 Conspiracy. It is called A Course in Miracles. The Course claims to be The Third Testament. In the following I will show that if it is indeed the third testament then it is the Testament of Satan. So, if people want to call it "The New Age Bible" instead, I´m not surprised. Ok, this might sound like a Christian fundamentalist speaking. I´m not. I´m not even Christian, but I will claim that I have some good arguments. I have connected the Matrix Conspiracy with three other known conspiracies. Note that though there might exist groups/societies with these names then I don´t concretely refer to these (The bilderberg Group does exist). I use the names as metaphors for tendencies in the postmodern popular culture, which otherwise would be very difficult to explain. Also, I don´t think there exists any organized control coming from without; that is; secret societies, or groups of people who are speculating in what I here present. The control is coming from within; it is coming from individuals who share the same ideas, namely that they are free and authentic humans, who help other people to become free and authentic humans (about this illusion: read my article Self-help and The Mythology of Authenticity). Read my article The Matrix Conspiracy for a description of the two other conspiracies. Here we will focus on the 666 Conspiracy. This conspiracy is about Evil´s plot against mankind. Is the third Antichrist among us, and will our worship of him be a sign of Judgment Day? (In my article The Four Philosophical Hindrances and Openings I have investigated the 666 turn in depth). A) That some of the subjectivistic and relativistic theories on the universities, which seek to undermine truth (and for instance philosophy and science) are so absurd, that there is nothing behind them than chaos (see my articles Constructivism: the postmodern intellectualism behind New Age and the self-help industry, and The Sokal Hoax). B) That ideology is a malfunction in the human mind (see my article The Difference Between Philosophical Education and Ideological Education). C) That there is introduced a false spirituality where the main worship is the Ego, contrary to the traditional spiritual directions, where the main goal is the elimination of the Ego (see my article The Ego-inflation in the New Age and sSlf-help Environment). D) That occultism within New Age creates spiritual misguiding, often with deep spiritual crises as a result (see my article Spiritual Crises as the Cause of Paranormal Phenomena). E) That the Ego-extreme according to the true spiritual traditions will be contrabalanced by the laws of energy (hybris-nemesis, karma, the will of God, etc.) This will happen through crises, illness, natural disasters, etc. – see for example my articles What is Karma? and Humanistic Psychology, Self-help, and the Danger of Reducing Religion to Psychology. 1. Channeling. The ability to make contact with divine creatures and levels of consciousness, which is thought to possess informations of spiritual value for people, and through the body mediate communication from these levels. 2. Possession states. An experience of, that your mind and body (it can also be things or places) have become invaded and are controlled by a being, or an alien energy, which can be of divine or, most known, demonic kind. Often with inexplicable bodily manifestations. A Course in Miracles is one of, if not the, most popular spiritual texts of The New Thought tradition (see my article The New Thought Movement and the Law of Attraction). 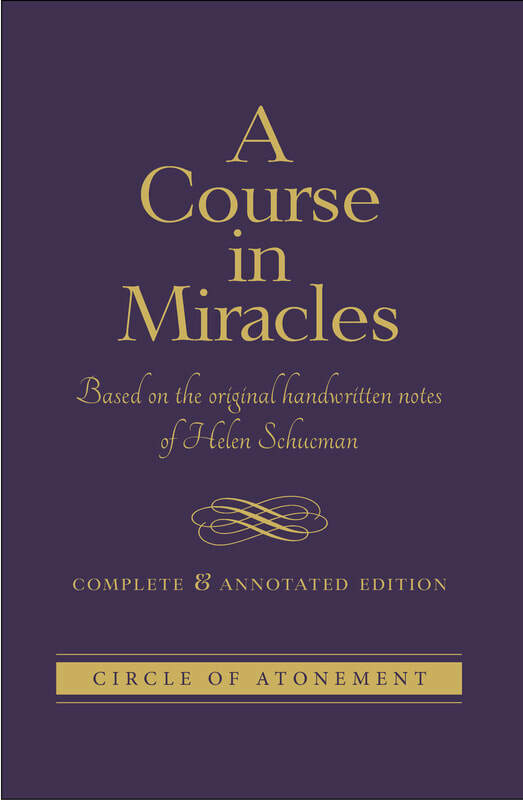 Essentially A Course in Miracles is claimed to be the words of an inner voice, given to Helen Schucman. Schucman believed that voice to be the voice of Jesus. The Course or Course-inspired views of spiritual life have come into mainstream popular culture, particularly through the writings of contemporary spiritual teacher Marianne Williamson. Those ideas have now extended to a new generation of spiritual teachers, particularly strong in what’s known as the spiritual but not religious community of seekers in North America. It is an idea which can´t be understood without an understanding of the anti-intellectual clima in USA (see my Matrix Dictionary entry on Anti-intellectualism and Anti-science). But as anything coming from USA, it is being taken at face value all over the globe. I have encountered ideas who have their roots in The Course (and certain strands of New Thought theology more broadly) constantly in my philosophical counseling practice. Overall what I see are Course ideas and beliefs creating endless problems for practitioners. An interesting thing about New Thought and the Law of Attraction devotees is the use of testimonials. Group meetings tend to proceed as testimonials of the miracles. But you never hear about the problems, which I, and other non-initiated, constantly hear about, or directly are confronted with. This is due to that thought distortions such as selective thinking and confirmation bias paradoxical enough is a part of the teachings. The back story of the writing of the text is a bit complex and quite fascinating actually (see history here). But I will give a few trail markers. ACIM is a minor industry. To find out what Jesus really had in mind when he came to save the world, you can buy ACIM or one of a dozen similar books from the Foundation for Inner Peace (FIP). About 1.5 million copies of ACIM were sold worldwide between 1976 and 2002. FIP also sells audio and videotapes, and conducts workshops, seminars, and discussion groups. Its sister organization, The Foundation for A Course in Miracles (FACIM), has an academy where you can get the Holy Spirit to help you understand the real message of Jesus. You may then return to your everyday life situation with a deeper appreciation for the difference between appearance and reality, illusion and truth. The academy is known as "The Institute for Teaching Inner Peace Through A Course in Miracles" (ITIP). That numerous readers of the ACIM books have experienced a "miracle" in the ACIM's broad definition of that term: any change of a mind away from fear and separation towards love and unity. The “miracles” can broadly be said to be the placebo effect of being told [by Jesus?] that all suffering, negativity and evil are an illusion you don´t have to take seriously (see my Matrix Dictionary entry on Spiritual Placebo). In my article Paranormal Phenomena Seen in Connection with Channeling I have examined the channeling phenomenon, and the problems involved. In this article I won´t go into the thought distortion Truth by Authority and the spiritual fact that nobody can tell other people about their karma. The problems I want to investigate below is especially connected with ACIM as an example of the 666 Conspiracy. To begin with: ACIM is a piece of pseudohistory. Pseudohistory should also be distinguished from historical fiction and fantasy. Anyone who cites a work of historical fiction as if it were a historical text is a practicing pseudohistorian. There are also writers of historical fiction who intentionally falsify and invent ancient history. A technique to do this is to claim to find an ancient document and publishing it in order to express one´ s own ideas. An example is The Celestine Prophecy, and The WingMakers Project (see my article Time Travel and the Fascism of The WingMakers Project). A variation on this theme is to claim that one is channeling a book from some ancient being, e.g, The Urantia Book and Bringers of the Dawn. A Course in Miracles is precisely the name of a book, allegedly dictated by Jesus to Helen Schucman. The book explains what Jesus really had in mind when he came to save the world. The popularity of Schucman´s book gives testament to the attractiveness of New Thought´s revisionist biography of Jesus as wanting more love and forgiveness (positivity), and less suffering and sacrifice (negativity). In looking at the suffering in the world the Course says that this world cannot be created by a God. Heaven awaits us all and there is no hell; that is: the prompting to deny and ignore suffering and negativity. This is probably the best trick an Antichrist could impose in us: that hell and evil don´t exist. An example of the paradoxical nature of the Devil´s game, which I have investigated in my book Lucifer Morningstar – a Philosophical Love Story. So, the Christian terminology employed in the book is thoroughly redefined to resemble New Thought teachings. Thereby it also contains all the problems of the positive psychology of New Thought; that is: it fails to understand the meaning of suffering (Suffering as an Entrance Into the Source). What does it mean when the text says ”the dream there had been a physical crucifixation”? Though ACIM regards itself as a "purely nondualistic thought system," for anyone who has deeply studied the truly nondual wisdom and devotion of the world’s great mystical spiritual traditions East and West, some of the language and approach of ACIM is problematic. By harsh contrast, ACIM views the normal human situation as a mistake, a bad dream, and it is the big bogeyman "ego" that is responsible for this experiential dream. I agree that the Ego is a bogeyman, but I claim that this bogeyman obvious also has fooled ACIM itself in a rather extreme way. It is important to understand that the New Thought movement, and therefore ACIM, is building on Berkeleyan subjective idealism. Subjective idealism, or empirical idealism, is the monistic metaphysical doctrine that only minds and mental contents exist. It entails and is generally identified or associated with immaterialism, the doctrine that material things do not exist. Subjective idealism rejects dualism, neutral monism, and materialism; indeed, it is the contrary of eliminative materialism, the doctrine that only material things, and no mental things, exist. Even ACIM's posited goal state-- the refined soul being part of a multitude of souls who have let go the illusory dream of fear, guilt and separative ego-- still feels like something of an exalted heaven-realm, not the "beyond-the-heavens" Awakeness of Infinite Divinity, to which the greatest sages of India and elsewhere all point in unison, from the Upanishadic sages and the Buddha onwards. ACIM´s goal state is similar to George Berkeley´s concept of God. A convinced adherent of Christianity, Berkeley believed God to be present as an immediate cause of all our experiences. As we go further in this article I will show that this conception of God (the good, the true and the beautiful) is invalid, because it has no foundation for that the cause of our sensations not as well might be the Devil (the evil, the false and the ugly). The latter might even be a better explanation, if you take the theory seriously, that is. ACIM confuses Berkeley´s concept of God with the Eastern concept of enlightenment. It therefore seems unaware of the possibility for authentic realization of the Supreme God-Self or Atman (though quoting a lot of Eastern sources), this Self is not other than the transcosmic, Suprapersonal Divine Reality or Brahman. This incomparable, supernal Reality is what the Buddha independently calls Nirvana, the “Unborn, Uncompounded, Unmade,” Awareness-sans-surface (vinnana anidassana). What ACIM, as well as New Age as such, do, is to place enlightenment in the subject, what would end in metaphysical solipsism, the terrible result of a total metaphysical subjectivism. You could term it "Black Enlightenement." I will return to this terrible concept in the end of the article, where I will give you a glimpse of Hell. The Eastern notion of enlightenement is the direct opposite. So also this is turned upside down. The Eastern notion of enlightenment is metaphysical objectivism. It is the complete experience of reality itself, or the complete absence of the subject. You could also say that the subject has been made transparent in objective light. The subject is open like a Lotus flower for the sun. So, even the Eastern idealists have this as an end goal. Their idealism is founded in this, wherefore they don´t end in solipsism. ACIM is founded in subjective idealism. No it’s not. The ego is literally not at all a fear based thought. Here the Pain-body comes in (I will go further into this below). The ego is what it feels like to be a bodily human organism. The ego is the feeling of being an individual homo sapien. The ego is the feeling of being a bodily human self-conscious organism (organism is what ACIM thinks is an illusion). Helen Schucman came from a Jewish environment. Not surprisingly the religion that she invented reflects certain Jewish concept of Christianity (but also other things which I will return to). In A Course in Miracles Christ is not the Son of God but one of his many sons. Schucman denied the exclusive station that the Christians attribute to Jesus and claimed that he was an enlightened person and that all humans as sons of God who can reach the station of Christhood if they evolve or “mutate” spiritually. Personally, I agree with this. Also with that Jesus was an enlightened master. That´s where I differ from average Christianity (though Christian mysticism claims something similar). But as already shown, it misunderstands the Eastern notion of enlightenment. We have already looked at the question of the revisionist version of the crucifixion. In Chapter 3 of A Course in Miracles Schucman directly denied the crucifixion. That is strange since the crucifixion is expressly stated in all the four books of the gospels. So why would Schucman deny it? The answer again is partly the idealism we have looked at, but maybe also that she was influenced by her background in Judaism. (Note! I´m not suggesting anything about Jewish deicide, which is a very controversial issue (read more here). I will return to this in my pop culture file on Mel Gibson´s Passion). But even though later Schucman became an atheist, Judaism was the foundation of her education. Therefore it could very well be natural for her to implement her own beliefs into her self-made religion than accept what is written in the New Testament. This is actually fully in line with all spiritual traditions, though the crucifixation is the most extreme example of it. In Christianity they talk about The Way of the Cross. Christian mystics have always known, that suffering can work advancing on a spiritual transformation-practice. This is because that suffering can be so unbearable, that you finally do not feel up to make resistance against it anymore. But this surrender exactly leads you into the Now. Paradoxically enough it is your resistance against the suffering, which upholds the suffering, while the surrendering of resistance neutralizes the suffering. In order to heal Man from the ground you need to go into a spiritual practice. It is only within the religions and their spiritual traditions they have knowledge and names for the more dark sides of the collectice time. The West has very precisely called this factor the original sin. The East has called it negative karma (see my article The Value of Having a Religion in a Spiritual Practice). Seen from a spiritual perspective, this instinctive survival strategi (the Ego) appears as a resistance, an invincible inertia: original sin, negative karma. You can´t, by therapeutic strategies, free the consciousness for its attachment to this inertia. You can therefore not dissolve or dilute or convert the original sin through therapy. Only the intervention of the Source (God, Christ, the enlightened consciousness) can basically help Man with a trancendence of the negative karma of the original sin. But in order to, that a human being should be able to receive this help from the Source (gift of grace), then this requires an eminently precise and profound preparation. And as part of this preparation serve the spiritual practice. When you have achieved a certain degree of spiritual training, you no longer need the negativity to tell you what you need in your lifesituation. But as long as there is negativity, or illness, then use it as a signal, which reminds you to begin a spiritual practice, or, if you already are practising, to deepen it. Finally both Tibetan Buddhism and Christian mysticism are common in training yourself in using your personal suffering to increase your love and compassion – which means: where you mentally receive and give. You use your own suffering in a way, where you receive others´ suffering in your heart. Here you let it dissolve in the light of compassion, whereon you give the compassion on to these others. This practice works healing, both on yourself and on others. See the supporting exercise The Heartmeditation (the Tibetan spiritual practice of Tonglen) in my book Meditation as an Art of Life – a basic reader. Also see The Matrix Dictionary entry Supporting Exercises for updates. Here I in details explains how positive thinking is just about the opposite of Tonglen. The atonement of Jesus Christ is the most extreme example of this mankind has been a direct witness to. And showing this in all it´s brutal frankness is precisely the brilliance of Mel Gibson´s The Passion of the Christ. It is a perfect visual and artistic answer to a popular culture which does everything in order to avoid suffering and negativity. People was shocked over the movie. The resurrection of Jesus is the Christian religious belief that, after being put to death, Jesus rose again from the dead. It is the central tenet of Christian theology and part of the Nicene Creed: "On the third day he rose again in accordance with the Scriptures". This is in Chrisitanity seen simply as a prove of that the whole life and teaching of Jesus was true. But because the resurrection is something metaphysical or supernatural, something above the natural (above matter), ACIM can claim that this fits much better into its “dream” concept. In this way we see how the whole passion is denied as having any point at all. The whole thing is an illusion, a dream. As I have shown in connection with other “groundbreaking scientific discoveries” within New Age: Schucman is preparing a cocktail of already existing ideas. Nothing taught in A Course in Miracles is new and therefore no revelation was needed to tell us humans what we already knew and some of which we already discarded as false. The idea that you can come up with all such already known ideas, and present them as “revelations” is due to the oblivion of philosophy – or rather: the intellectual laziness within the anti-intellectual clima in popular culture. The question arises: if the world is just a dream and every thing is just an illusion, what should we do to wake up? Shucman is dead. Is that our illusion or is it hers? Could we tell a mother who has lost a child, oh don’t cry you are just having an illusion? (that´s what another New Thought disciple Byron Katie is doing in her “therapeutic” work – I will return to that). Like Byron Katie, A Course in Miracles teaches that there are no absolutes; truth is relative and is determined by one's experience. According to the Cyclopedia In A Course In Miracles, "only what is loving is true." It would be foolhardy to deny that as a psychologist Schucman did not know this is the way to brainwash people. Using this method, you do not need to explain anything. People will eventually believe just by doing repetitive constant exercises. This is exactly the process children are indoctrinated by their parents. Children do not question the validity of the beliefs and practices of their parents. They simply emulate them and eventually those beliefs and customs become part of their own belief system. Schucman demands that you relinquish your critical thinking and submit to her like a sheep. This is the main demand of the Matrix Conspiracy as such: critical thinking is negative; ergo: stop thinking critical! In my article The Devastating New Age Turn Within Psychotherapy I have described different brainwashing methods commonly used in New Age psychotherapy. In the Matrix Dictionary entries The Matrix Conspiracy Fascism and Doublethink I have shown how other brainwashing methods such as Gaslightning and Doublethink are used in combination with propaganda. These are nothing but established and proven techniques of mind control. It is saddening that otherwise intelligent people allow themselves consciously to be brainwashed. The Course claims to be The Third Testament involving the New Age. However there is nothing new in it. The book is a concoction of Eastern and Judeo-Christian philosophies. Most of the writings are senseless and tautological. It contains vague statements that give the impression of conveying the truth. The book however contains no truth unknown to the average man but it burdens him with a lot of nonsense. Is this really Jesus the Christ speaking here? I doubt it—more like the mind of Helen Schucman, who says she channeled or “scribed” what she heard from an “innner voice” identifying itself as Jesus from 1965 to 1972, subsequently closely editing it into the ACIM with her colleague William Thetford (1923-84) (a closet CIA agent) and then later with Kenneth Wapnick, a Jewish convert to Catholicism. A clinical and research psychologist by this point in her life, Schucman had been extensively exposed in childhood to Christian Science writings, Theosophy and New Age metaphysical material by her mother and then by working in her husband’s Manhattan bookstore in the 1930s, so this type of material would have been a major part of her subconscious mind’s hidden memory (cryptomnesia), easily accessible in the quasi-automatic writing process that ensued from 1965 to 1972. The whole concept of channeling is coming from Theosophy (see my article The Fascism of Theosophy). As mentioned I believe Shucman were in a spiritual crisis. I therefore don´t think her channeling claims are fake. A spiritual crisis can have two expressions: Ego-inflation and The Dark Night of the Soul. The ego-inflation is the most dangerous because here you are completely unaware of your actions (see my article The Ego-inflation in the New Age and Self-help Environment). The ego-inflation can continue until your death, or it can switch over in the valley of The Dark Night of the Soul. The latter is, in my opinion, what happened to Helen Shucman late in her life (I will return to this). She is a perfect example of how compensatory karma works. Positive thinking is namely a clear example of thinking in one extreme of a pair of opposites, where the opposite extreme is negativity. The more you, through the Ego´s evaluations, isolate the parts of the wholeness from each other, the more the abandoned parts will work stronger and stronger on their polar partners. Therefore these polar partners in their extremes will finally switch over in the opposite extreme. Another aspect of this lawfulness, or another way to describe this lawfulness is: energy returns to its starting point. This is called compensatory karma (also described as negative karma or original sin), and the lawfulness works as wave movements and pendulum movements (see my article What is Karma?). I believe Shucman was genuinely channeling some subtle-plane entity who was very much in love with pompous-sounding New Thought material. I also believe the entity was a demon, or even the Antichrist himself, considering the ingenuity of the book. In other words: I believe we are talking about a very special case of the type of spiritual crisis called Possession State. First of all: no unenlightened person can directly channel an enlightened consciousness/being. This would mean that either the channeler was enlightened - and therefore not in need of channeling anything - or that the channeler was very close to enlightenment and therefore experienced genuine mystical experiences. In both cases none of problems explained in this article would occur. In order to explain who the non-physical entities are (of whom I have met quite a few) - which channelers claim to channel - I will try to characterize a particular area of the polar relationship of some collective energy-processes, where informations from the Source (the divine energy-source, the otherness – God, whatever you might call it – my own final name would be the Wholeness) - through individual persons, are transformed via the mandala-structures of the universal images, down through the polarized structures of the collective images, to the personal images. In other words: the phenomenon which often is called energy- and consciousness-transmission. In my article A Critique of the Indian Oneness Movement and its Use of Western Success Coaching I have shown the false use of this ability; that is: the use of what they in Indian philosophy call Deeksha, Shaktipat, etc. The same is namely the case in relation to channeling. The images in the universal time include their polar partners, they are a kind of visionary mandala-structures, which work in synchronism with the Now. They therefore function synthesizing and healing. The images in the collective and personal time eliminate these polar partners, and therefore they work separating in polar tensions. Furthermore they work in sequences in past and future. Images in the collective time are therefore a dangerous intermediate area between the universal and personal time. The collective time lies on a so-called astral plane, and its degree of fascination is known from fairy-tales, myths, archetypes, primordial images, dreams. When individual persons have an opening to the collective time their creativity, and their reality-creating ability, are set free in fascinating degree. Experiences from here are experiences such as kundalini, clairvoyance, astral travels, mythological visions, miracles, channeling, UFOs, memories from past lifes, Near-death experiences, possession states. However you are, in this astral state, still on the plane of the collective images of time which work in sequences in past and future, and you are in danger ending up in a spiritual crisis. A spiritual crisis is an expression of, that you have gone out in the collective time with your Ego, without having done the philosophical preliminary work; that is to say: the realization-work and the ethical training. The Ego will then make you lose your way in the collective time. This can happen in two ways: either as suffering (often called The Dark Night of The Soul), or as Ego-inflation. Around ethical highly placed spiritual teachers (both physical and non-physical) there seem to be formed existential mandala-structures, which, as great energy-whirls, canalize highly growth-advancing energy and consciousness-waves from the Source (the Now, life itself, the Wholeness). These mandala-structures necessarily have to arrange themselves after the collective images´ polarization-patterns in past and future, whereby the lines are formed which the energy and the transmissions can follow into the personal images, which after all also only work in past and future. These energy-mandalas are in religious art archetypical portrayed in for example the classical configurations around Christ (the four evangelists and their symbolical power) and Buddha (the Dyani-Buddhas with their esoterical figures). Such mandala-fields are constelled concretely among the students (or highly developed channelers), who relate to such a teacher (physical or non-physical). And in these fields, constituted by human beings, the Source manifests itself concretely-existential. When an individual person has a realized access to the collective time´s area of energy, we have to do with a spiritual teacher of one or the other kind. The realized transmission of energy and consciousness will always be characterised by a spiritual teacher who not only has realized the collective time´s astral worlds, but in addition to this also the universal time, and therefore truth and reality (which means that he or she is an enlightened master). This teacher is therefore able to discriminate between the image and the reality, and therefore able to relate relatively to the relative and absolutely to the absolute (what critical thinking is all about – see my book A Dictionary of Thought Distortions). The collective forms of energy are here used for spiritual purposes (where the energy is turned towards the Now, and therefore the Source and the essence – the Wholeness). Such teachers function as energy-distributers and energy-spreaders to individual persons, who are students and disciples of this teacher, a kind of transformation-phenomenon where the individual persons are liftet into the spiritual dimension with its universal images, insights and experiences of love. To teach spiritual consists after all in, among other things, in passing on energy (love, information, healing, direct transmission of spiritual consciousness). Only an enlightened master can do this. All the other of us must work meditatively with our consciousness, and, as an important aspect of this: with our thought distortions. The passed on energy from the spiritual dimension is from the medium of an enlightened master (physical or non-physical) spreading itself like waves out towards those who are open, and those, who can learn and receive. In order to be able to reproduce itself in the personal images, which only work in past and future, this wavevibration-process goes through the mandala-structures of the universal images, which work in synchronism with the Now (the spiritual dimension, the Wholeness), to the polar tension-tracks in the collective images which work in past and future. The waves have to be able to travel. The energy has to be able to spread itself from higher levels, via the teacher, and out to those who can grow in this field. Around such a teacher there in other words arises an universal image, a kind of mandala-structure, created by the teacher and the students around him (when we talk about a physical teacher). The same happens when we talk about a non-physical teacher and high developed channelers. In such a group-energetical mandala-structure in the Now the polar relationship in the collective time is organized in such a way, that energy can be send and received, arise and travel like rings in water. The same energy, which can be used unselfish, can namely also be used turned stimulative into the Ego-structures, whereby the Ego can lose balance and expand to a super-Ego, or in another way be demonized. It is this that happens in the spiritual crisis. You have gone out in the collective time with your Ego. The lesser realized transmission of energy and consciousness is therefore characterised by people, who admittedly have an opening to the collective time, but not to the universal time. Such people are often not able to discriminate between the image and the reality, and therefore they relate absolutely to the relative. They are caught in magical thinking. Karen Blixen tells about how the natives, because of this mythical “gift”, can put experiences on humans which they can´t defend themselves against, and not get out of. They can make humans into symbols. She is telling that it is a kind of magic which is used on you, and that you later never completely can disentangle from it. It can be a painfull, heavy fate to be exposed as one or the other symbol. It is also this magic George Orwell describes in his novel 1984, with the language called NewSpeak; a language created by the rulers in order to control thinking. We all know it more or less. If you, by your surroundings, constantly are being induced some kind of image, you will in the end begin to believe in it, even if it is not true. Especially in family relations we see how family members are being induced roles which are incredible difficult to disentangle from, because family relations also have with love to do (see the Matrix Dictionary entry Doblethink). All this is magical thinking, and there are a lot of thought distortions built into it, for example the thought distortion Arbitrary inference which means that you make a causal linking of factors which is accidental or misleading. The main reason for the rise of magical thinking is that you don´t discriminate between image and reality, the map and the landscape. True spirituality is about discriminating between language and reality. Discrimination is a central virtue in critical thinking. The Dominican mystics call this step Discriminatio, the ability to discriminate between how the energy is used temporal or religious. And despite that magical thinking actually can create something magical, then in true spirituality it is still something temporal, or relatively (black magic/occultism), which will create negative karma if practised (in my article on New Thought I have explained how this movement is a direct teaching of black magic). The same energy-process and function, which realized spiritual teachers use, can therefore be used for other purposes than spiritual. When the collective time´s energy-processes are used spiritual, then the Ego, in its egoistic isolating and self-affirmative function, steps aside, and the energy is turned into the Now, and therefore in towards the Source and the spiritual dimension. The people who around a spiritual teacher constitute the energy-mandala are in this way made transparent for a higher common human spirituality. In the Ego-inflation the contact with, and the ability to manipulate with such collective forms of energy, will be used for other purposes than spiritual. It can be creative, Ego affirmative, political, demonical and so on. The powers that by realized spiritual teachers are given to others´ disposal in healing, energy transmission and spiritual information exchange, the same powers can themselves be turned in through the Ego-structures, and therewith into past and future. In this way there can be opened creative channels, created super Egos, created political leaders and popular seducers. This is a demonical element. Many gurus seem to have fallen into this temptation. In the story about the temptation in the desert we can see these possible ways of using the energy pictured in anticipated form. Here you see the possibility of using the freedom and the power to elevation of the Ego and the consequent power and material glory. This is precisely what the New Thought movement are promoting. But Jesus abstains from this deification of the Ego. However, many false gurus have fallen for the temptation. And in the present time, where spirituality is blended with coaching and management theory (the belief in that worship of money, success and winner-mentality, is the same as being in compliance with the universal laws) we will undoubtedly see an explosion of such super Egos – and experiences show, that the world will follow them (read more about energy-transmission in my article The philosophy of Karen Blixen). Most of the channeling experiences – and which have a certain reality for either the channeler or the client – are collective fantasies. Collective fantasies have two aspects. The one aspect of the fantasies is a kind of archetypical, mythologically symbolizings of more personally, unclarified matter (we have mentioned Helen Shucman´s personal background). The second aspect of the fantasies is relatively valid information about things that lies beyond the ordinary consciousness and one´s personal history. The misguiding happens because the two aspects are blended together. The whole of the thought´s past can create a reflection of itself in the body. And if this past is filled with pain, then it can show itself as a negative energyfield in the body: the emotional pain-body. It contains all the pain you have accumulated in the past. The pain-body lives of that you are identified with the negative or “imagined positive” thoughtpattern behind it, for example thought distortions (thinking in extremes). And as mentioned: the pain-body is - through the inner evaluating ego, which the pain-body is constructed around - connected with the more dangerous dephts of the astral plane´s collective history, which also are a kind of dark, ancient inertia which opposes any change of the ego. The energies found here are unfathomable, and when you direct them into your pain-body, you are really facing problems. That is what is happening in a spiritual crisis. The ego-religion and the ego-exercises are the ego´s incessant confirmation or denial of the ego: “it is no use with me!”; or: “Wonderful me!”. Both, either the denial or the confirmation of the ego, maintain the ego-proces, the ego-identity, and the ego-centralization. The ego´s religion and exercises are the ego´s needs and longings and will: I want to, I think, I believe, I feel, I wish, I hope, I think, I believe, I feel, I wish, or, in its most common core: I, I, I...Me, Me, Me... Therefore a spiritual crisis can both be “negative” and “positive” – the Dark night of the soul, or ego-inflation. Your ego, and your pain-body, is in other words the gate where collective energies, and astral beings, can enter into your world. When you in a selfish way use the powers from the collective history of the astral plane, and which demonical astral beings will help you with (because the ego phenomenon is their magnet of attraction), you can create personal power and material glory. That is the essence of Black Magic. The ego is a demonical structure, and it attracts demonical powers and energies, which also have been created by the ego phenomenon. So, the reason why it´s necessary to lead people around the collective time, or shorten the passage through it, is because that non-physical entities from these areas are using people or cults (collective energy processes in mass phenomena: religious, spiritual, political, sports or other type) as psychic channels, working interdimensionally to create all sorts of “experiences” in people; experiences that seems dazzling and/or extraordinary – but with the purpose to use their energy as food. That is: a kind of vampires, or even worse: demons (about the Devil, demons, and vampires, see my book Lucifer Morningstar – a Philosophical Love Story). A lot of channelers are frauds, or just disillusioned because they are completely controlled by subjective feelings, emotions, intuitions; that is: identified with the pain-body. But some of them are also caught up in an ego-inflated spiritual crisis, and are actually channeling entities from the collective time. The problem is that they don´t know who it is they are channeling. Demons can be very charming, and very manipulating. They will never tell you their real names. They will tell you what you want to hear; what sounds flattering; they will give you experiences; and they will help you to gain prosperity and success. But you will eventually meet the compensatory karma, or Nemesis. A simple principle to follow: they will never teach you to turn your awareness in towards the source, and/or the now; it is always out towards the material world, and/or always into past or future. So, remember: always critical examine the “teachings” channelers are channeling. Fr. Groeschel learned from Helen that her mother used to daily read to her from Mary Baker Eddy's Christian Science material when Helen was a girl. It is also notable that, as Groeschel found out, before she adopted a skeptical social-scientist's worldview for her mid-life career choice, Helen had become secretly baptized a Catholic and for several years attended Catholic mass, recited the rosary and practiced devotion to Mary after a life-changing visit to the Catholic Marian shrine at Lourdes, France. She was also attending Mass during the time she "scribed" ACIM. So her personality was clearly marked by a strange, alternating series of involvements with assimilated Jewishness, New Age thought, Catholic practices, and scientific skepticism. Groeschel told journalist Randall Sullivan (for his book, The Miracle Detective, Grove/Atlantic, 2004)﻿: "I decided that A Course in Miracles was a fascinating blend of poorly understood Christianity inspired by her visit to Lourdes and poorly understood Christian Science inspired by her memory of Mary Baker Eddy's writings, all of it filtered through some profound psychological problems and processes." Somewhere in here more needs to be said about William Thetford, Schucman's department head and close colleague, and the one who so eagerly encouraged her to keep scribing "the Voice" in the earliest days. According to his vita (as some have sleuthed it and posted to an earlier version of the Wikipedia page on Thetford), "from 1951 to 1953 Thetford worked on Project BLUEBIRD, an early CIA mind control program that led to [the infamous] Project MKULTRA. ... From 1955 to 1957 he was an assistant professor of psychology at Cornell University's CIA-funded Society for the Investigation of Human Ecology. ... From 1971 to 1978 Thetford, along with David Saunders, headed the CIA mind control Project MKULTRA Subproject 130: Personality Theory." Given the ACIM's overt aim, especially in the Workbook, to have its students "unlearn" everything they think they know and be subject to the ACIM's "re-education," Thetford's major role in the editing of ACIM and his prior and later involvement with CIA mind-control work is NOT reassuring. ACIM pretentiously views itself as the "Third Book" of the Bible, after the Hebrew Bible and the Christian New Testament. This grandiose view of itself and its authoritarian "closed thought system" easily lures many vulnerable persons to read it and adhere to it and be brainwashed by it. ACIM’s doctrines, like those of numerous New Thought groups, exclusively focus on inner attitude change, and therefore when taken too literally or to extremes can be seen as subversive to the proper functioning of a rational, just society—such as when the Text advises adherents not to bother attempting to change the world, but instead simply to change their thinking about the world. This can easily lead to adherents growing apathetic over our society’s injustices rather than remaining conscientiously active at the level of our public policies (i.e., politics) for the sake of progressive solutions and greater justice in the realm of economics, the environment, and social relations (think racism, sexism, ageism, etc.). As some have charged, such apathy plays right into the core strategy of right-wing Republicans in the USA and right-wing groups around the world, who are fiercely invested in maintaining the status quo that so richly benefits themselves and their patrons, and who nastily try to suppress and vilify progressive activists trying to enact policies leading to greater fairness and sharing of wealth for the poor. Why should anyone believe that the words of Helen Schucman are the words of Jesus? Did she give any proof for that claim? Absolutely none. She expects people to believe in her claim and take her for her words. How could we know that she told the truth? We can´t. That people without hesitation take her words as being the words of Jesus says something about the authority, which the concept of channeling has within New Age. As I demonstrate in my article The Fascism of Theosophy, and its follow-up The Philosophy of Krishnamurti – then unenlightened channelers are often taken as greater authorities than the enlightened masters themselves. In the case of Helen Schucman: she is obviously taken as a greater authority than the whole of the history of Christianity itself, with all its historical sources, and the Saints and mystics, whose lives and teachings have confirmed this. All this for one reason: because she claims she is a channeler. There is of course another reason: the temptation in the desert. The teaching is a tempting teaching. But! The idea that the world doesn´t exist when you´re not there to observe it, is purely subjective idealism; that is: metaphysical solipsism. Metaphysical solipsists maintain that your own mind is the only existing reality and that all other realities, including the external world and other persons, are representations of that mind, and have no independent existence. It´s an incredible easy idea to debunk (again: see my Matrix Dictionary entry on Simulation theory). Moreover: it is an extremely frightening thought, which can be compared with the short stories of the Argentine writer Jorge Luis Borges. It is a vision of Hell that wants something: you yourself have to simulate infinity each and endless moment in an infinite past and infinite future. You have no family, no friends, no other humans to support you, and no other existence at all, except yourself and your Sisyphean mind-work. Ergo: there is no reason at all to share the idea because there is no one to share it with. Borges' short story "Funes the Memorious" is the tale of one Ireneo Funes, who, after falling off his horse and receiving a bad head injury, acquired the amazing talent—or curse—of remembering absolutely everything. The story trace the theme of infinity found in several of Borges' other works, for example “The Aleph” and "The Book of Sand". The narrator, a version of Borges himself, meets Ireneo Funes, a teenage boy who lives in Fray Bentos, Uruguay, in 1884. Borges's cousin asks the boy for the time, and Funes replies instantly, without the aid of a watch and accurate to the minute. Borges returns to Buenos Aires, then in 1887 comes back to Fray Bentos, intending to relax and study some Latin. He learns that Ireneo Funes has meanwhile suffered a horseback riding accident and is now hopelessly crippled. Soon enough, Borges receives a note from Funes, requesting that the visitor lend him some of his Latin books and a dictionary. Borges, disconcerted, sends Funes what he deems the most difficult works "in order fully to undeceive him". Days later, Borges receives a telegram from Buenos Aires calling for his return due to his father's ill health. As he packs, he remembers the books and goes to Funes's house. Funes's mother escorts him to a patio where the youth usually spends his dark hours. As he enters, Borges is greeted by Funes's voice speaking perfect Latin, reciting "the first paragraph of the twenty-fourth chapter of the seventh book of the Historia Naturalis" (by Pliny the Elder). Funes enumerates to Borges the cases of prodigious memory cited in the Historia Naturalis, and adds that he marvels that those are considered marvellous. He reveals that, since his fall from the horse, he perceives everything in full detail and remembers it all. He remembers, for example, the shape of clouds at all given moments, as well as the associated perceptions (muscular, thermal, etc.) of each moment. Funes has an immediate intuition of the mane of a horse or the form of a constantly changing flame that is comparable to our (normal people's) intuition of a simple geometric shape such as a triangle or square. In order to pass the time, Funes has engaged in projects such as reconstructing a full day's worth of past memories (an effort which, he finds, takes him another full day), and constructing a "system of enumeration" that gives each number a different, arbitrary name. Borges correctly points out to him that this is precisely the opposite of a system of enumeration, but Funes is incapable of such understanding. A poor, ignorant young boy in the outskirts of a small town, he is hopelessly limited in his possibilities, but (says Borges) his absurd projects reveal "a certain stammering greatness". Funes, we are told, is incapable of Platonic ideas, of generalities, of abstraction; his world is one of intolerably uncountable details. He finds it very difficult to sleep, since he recalls "every crevice and every moulding of the various houses which [surround] him". Borges spends the whole night talking to Funes in the dark. When dawn reveals Funes's face, only 19 years old, Borges sees him "as monumental as bronze, more ancient than Egypt, anterior to the prophecies and the pyramids". Borges later finds out that Funes died from "congestion of the lungs". Borges is fascinated by what I have called thought distortions, especially my thought distortion Endless Split of the Thought. Like Funes, Helen Shucman, I believe, ended in metaphysical solipsism, or black enlightenment. She confused her thoughts with reality, or the wholeness (the Universe), and that splits the thought in infinity. In my article Quantum mechanics and the philosophy of Niels Bohr, I present, not an ontological dualism, but an epistemological, a so-called gnoseological dualism. Unambiguous description has the distinction between subject and object as a necessary precondition. And the fact itself, that we have to discriminate between subject and object in order to communicate unambiguous, actually indicates, that both materialism and idealism (subjectivism/relativism) are mistaken points of views). The idealists is right that it is inexplicable, what an ”I” or a ”Self” is. I wake up in the morning, and I know, that I am the same as yesterday or ten years ago, in spite of the fact that my body since then has changed look and that the content of my thoughts in many ways has become something else. What is this ”Me”? It is not my body, because then I should each morning go out in the bathroom and look in the mirror, in order to find out who I am. But nor is it the content of my consciousness, my thoughts and my memories, as ACIM claims, because then I first had to evoke an infinite line of memories each morning, before I knew who I am. This is exactly the problem of Funes. This frightening thought is the reason why George Berkeley created the add hoc clause of God, as the one who does all this work for you. But this doesn´t explain anything, it could just as well have been anything else. Robert Lanza calls it Biocentrism, Sheldrake calls it Morphic Resonance, Hawking calls it M-theory. All of them believe in the simulation theory, which basically is advocating the thought of The Matrix. All this could, if you are taking the theory seriously, be your own mind-creation.